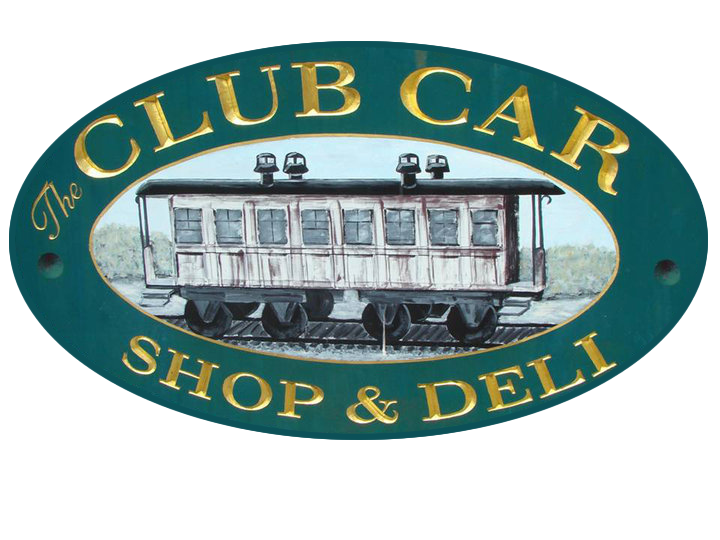 Located in the heart of Clifton Forge, a historical railroad town in Alleghany County, Virginia, the Club Car is a deli-style full service café where patrons come not only to enjoy a delicious menu but also to shop and to meet friends. The Club Car occupies a historical building known for many years as Farrar’s Drugstore and offers a cozy environment where patrons can “walk down memory lane”, browse a charming gift shop and enjoy a delicious home style menu. And when you come to visit us, do not forget to stop by the CABOOSE, our extension gift shop adjacent to the Club Car. Here you will find unique hand painted materials, uncommon crafts, and the same warm hospitality which has made the Club Car a favorite stop in town.